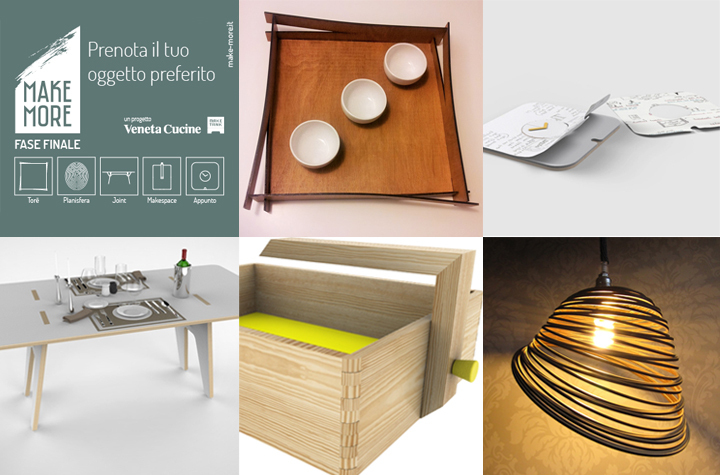 Experience Extension, the title of the second edition of MakeMore design competition organized by Veneta Cucine. 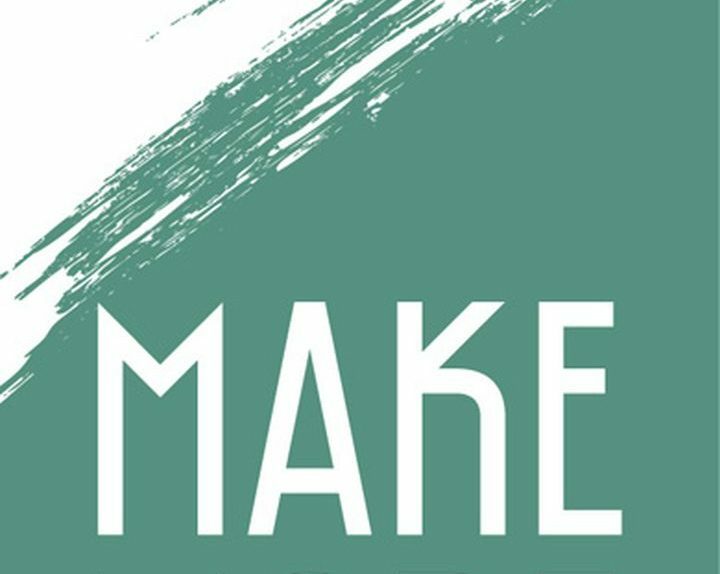 There are five finalists that Monday September 15 compete online to win the title of winner of the first edition of MakeMore, the contest promoted by Veneta Cucine, in collaboration with MakeTank (www.maketank.it). After jury selection, the choice of the winning pass to users connecting to the site www.make-more.it can book the object preferred helping him to reach first, by November 15 2014, the budget required. A book that will garantirsisi preview a copy of the product. 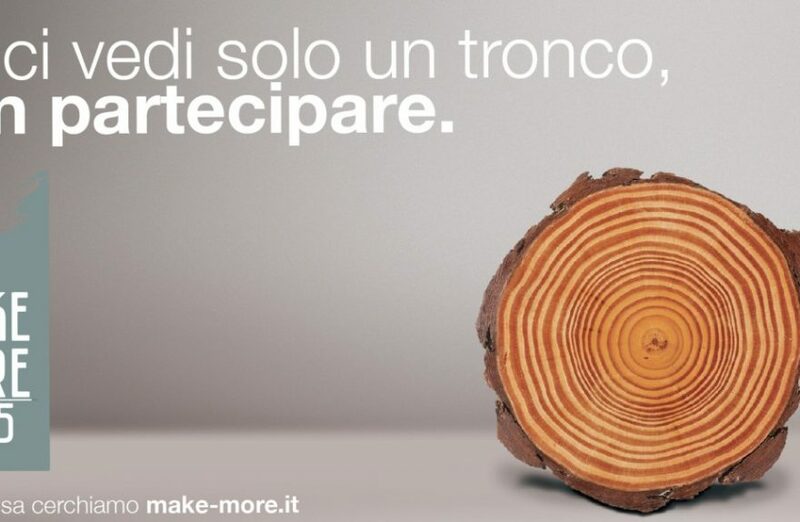 The first phase of the MAKeMore competition, Promoted by Veneta Cucine in partnership with MakeTank, It ended the 30 June. 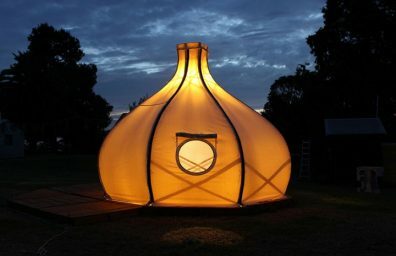 The jury of Daniela Archiutti (Art Director Veneta Cucine), Andrea Branzi (architect and designer), Dante Donegani and Giovanni Lauda (architects), Laura De Benedetto (co-founder of MakeTank) and Eleonora Ricca (designer and impenditrice-Vectorealism) has selected 5 the finalists of the contest, including the more than 80 received.